How many degrees of freedom in the human body? Degrees of freedom in the human body in relation to robotics. In robotics degrees of freedom (DOF) are the amount of movable joints that a robot has. Essentially the more DOF that a robot has the more it can move and interact with its environment. Degrees of freedom are measured as the total amount of all the degrees of freedom of every moving part. For robotics we do not actually include the exact amount of moving parts that a robot has because that number would be astronomical. Things like individual gears and links of chain must be excluded in order to provide an accurate number comparable to other robots. DOF are measured in robotics by determining the type of joint; A joint may provide one or two degrees of freedom. 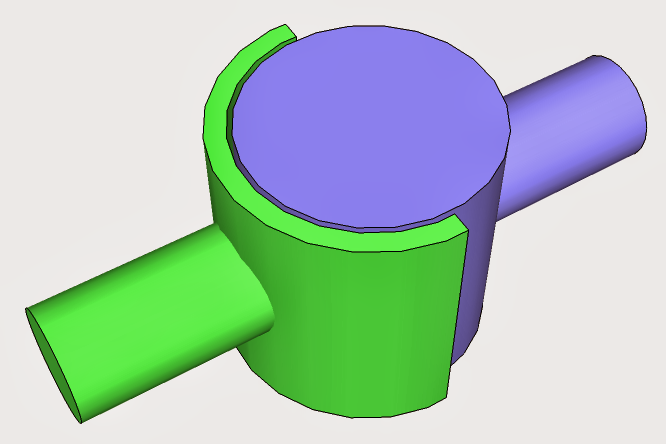 Hinge or sliding joints provide one degree of freedom. 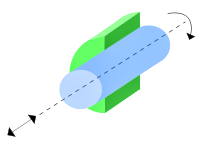 Cylindrical joints provide two degrees of freedom. Example from Wikipedia the free encyclopedia: "A human arm [excluding the hand] is considered to have seven DOFs. A shoulder gives pitch, yaw, and roll, an elbow allows for pitch and roll, and a wrist allows for pitch and yaw. Only 3 of those movements would be necessary to move the hand to any point in space, but people would lack the ability to grasp things from different angles or directions. A robot (or object) that has mechanisms to control all 6 physical DOF is said to be holonomic. An object with fewer controllable DOFs than total DOFs is said to be non-holonomic, and an object with more controllable DOFs than total DOFs (such as the human arm) is said to be redundant. In mobile robotics, a car-like robot can reach any position and orientation in 2-D space, so it needs 3 DOFs to describe its pose, but at any point, you can move it only by a forward motion and a steering angle. So it has two control DOFs and three representational DOFs; i.e. it is non-holonomic. 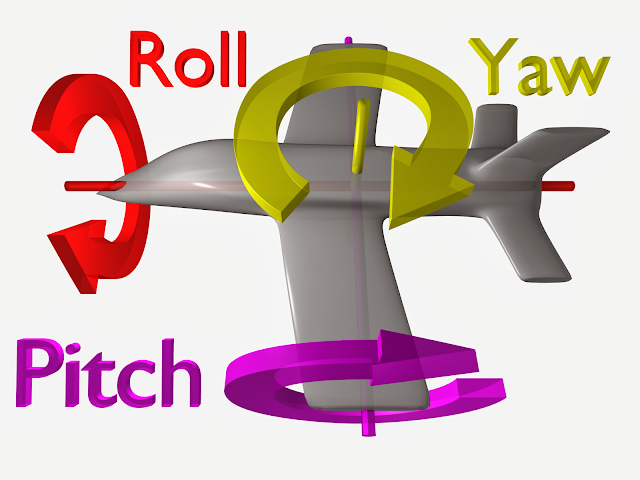 A fixed-wing aircraft, with 3–4 control DOFs (forward motion, roll, pitch, and to a limited extent, yaw) in a 3-D space, is also non-holonomic, as it cannot move directly up/down or left/right." When building robots that are humanoid in appearance it is often helpful to look at the underlying features of human anatomy. Joints are what allow robots to move and interact easily with their environment. When the DOF of every movable and semi-movable joint in the human body is added up that gives us 230 DOF.